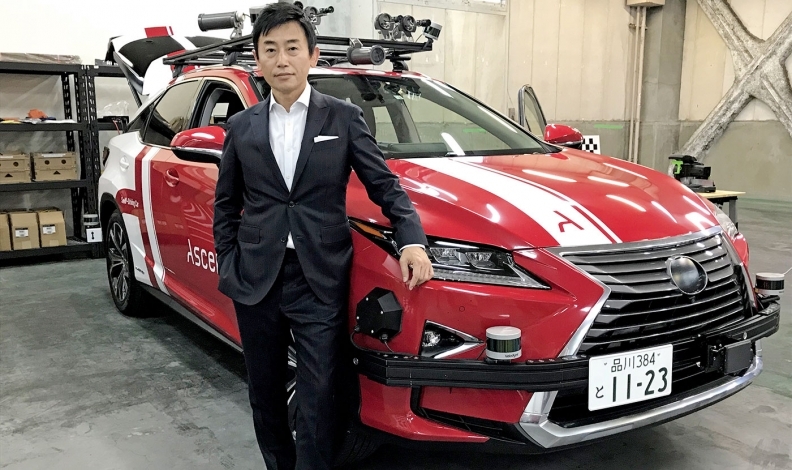 Ascent Robotics CEO Masayuki Ishizaki, above, and the company's workers, below, are taking a different approach from those of Waymo and Uber. TOKYO — Japan is hardly known as a freewheeling source of Silicon Valley-beating breakthroughs. But one autonomous driving upstart wants to change that by bringing a little of Silicon Valley to this side of the Pacific. A glance around its ultracasual office in the city's trendy Ebisu district illustrates Ascent's outside-the-box thinking. The English-only workspace is populated almost exclusively by young non-Japanese programmers lured from around the world by Tokyo's sleepless vibe, crime-free streets and cool cuisine. What's more, paychecks often go further than in pricey Silicon Valley. 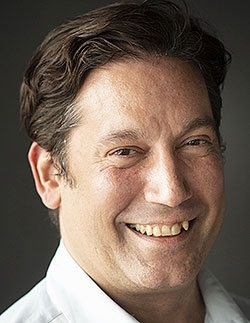 Canadian co-founder Fred Almeida, a machine-learning expert, is a rare non-Japanese entrepreneur who set up shop in Japan for just those reasons. Ascent has 50 employees and expects to triple its ranks within a year. The company gets 700 resumes a week, Almeida says. CEO Masayuki Ishizaki, a former country manager for Deloitte Digital Japan, is also a bit of an anomaly. Even though he is focused on developing futuristic, computer-driven cars that require no human hand at the wheel, Ishizaki is the proud driver of a black 1974 BMW 3.0 CS coupe that "doesn't even have a single semiconductor," he says. He acknowledges that people's love of vintage cars is one reason an autonomous world is still a long way off. "As long as I'm driving along with those smart cars, I'm creating chaos," Ishizaki says of his 45-year-old BMW. "We can't change the world overnight. It takes another 10, 20 or 30 years." But it is precisely because the world's roads and cars are not completely connected yet that Ascent sees an opportunity for its autonomous driving technology. Its goal is to develop a self-contained system that won't be limited by a reliance on high-definition maps, superaccurate GPS and software that constantly needs to compare map and sensor data. Ascent's cars will have a much wider range of autonomy, Ishizaki says. Ascent's gambit banks on complex simulators and machine learning to create algorithms that make predictions and judgments. That approach differs from those of other players, such as Waymo and Uber, which create rules based on real-world trial and error testing, Almeida says. What made it possible was a breakthrough in 2016 that allowed the application of new algorithms based on theoretical neuroscience "to allow the machine to plan and navigate through a process of reasoning," Almeida says. "The difference between us and Waymo is simply that we are building machines that think like us, and Waymo is building a machine that follows rules." In July, Ascent began rolling out a fleet of four sensor-laden Lexus RX hybrid crossovers for testing in Japan. Each vehicle will get eight lidar sensors, eight cameras, four millimeter-wave radars and one infrared sensor. The graphics processing unit running it all has two Nvidia chips with as much computing power as 80 video gaming computers. Among Ascent's backers is Ken Kutaragi, the former Sony Computer Entertainment CEO who is known as "father of the PlayStation" for devising the game console. He is on Ascent's board. Ascent raised $18 million (all figures in USD) in its first round of funding this year and hopes to generate $30 million to $50 million from investors in a follow-up round in the coming months. Looking ahead, Ascent plans to open sales offices in the U.S. and Europe, as well as an r&d outpost in Hawaii, to complement its expanding footprint in China, Singapore and Canada. But finding customers will be the first big test. Ishizaki says Ascent wants to license its autonomous driving technology to carmakers and is in talks with several. He declines to name the companies but says they are from Japan and overseas. Ishizaki reckons Ascent could charge at least $1,000 per vehicle per license. Japanese automakers are prime partner possibilities, Ishizaki says. They find it hard to work with true Silicon Valley startups to develop technologies. Ascent's advantage is blending the best of both worlds — California's high-tech creative culture with Japanese business sensibilities, Ishizaki says. "Japanese companies all want to work with Silicon Valley. But this relationship just doesn't work out because it is such a different culture," he says. "We can bring global talent, global solutions to the Japanese, which I know they are all looking for. … The market is wide open."